Cognitive remediation produced robust improvements in neurocognition in patients with schizophrenia, according to a report in the July American Journal of Psychiatry. Outpatients with schizophrenia (N=107) were randomly assigned to receive cognitive remediation, functional adaptation skills training, or combined treatment, with cognitive remediation preceding functional skills training. Clinical symptoms, neurocognition, social competence, functional competence, and case-manager-rated real-world behavior were assessed at baseline, at end of treatment, and at a 12-week durability assessment. 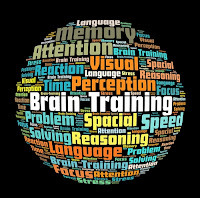 Neurocognition improved after cognitive remediation but not after functional skills training. Social competence improved both with functional skills training and with combined treatment but not with cognitive remediation alone. Improvements in functional competence were greater and more durable with combined treatment. Read the study here. For more information about cognitive remediation and “brain training” in schizozphrenia see Psychiatric News here.